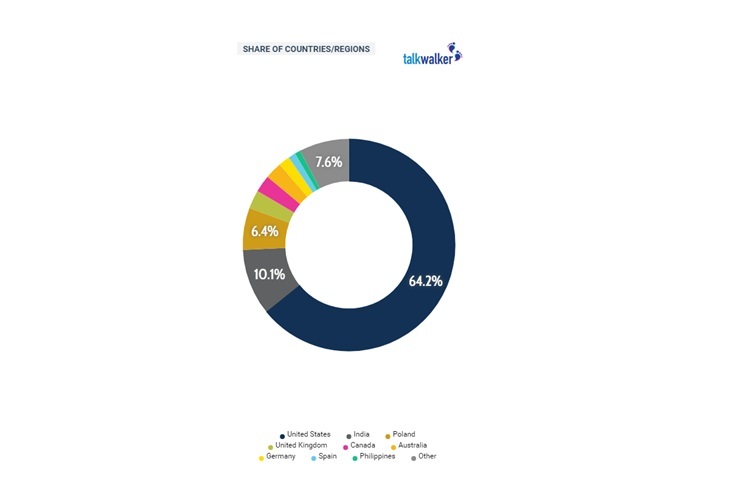 Talkwalker, a social media analytics company, based in Luxembourg, takes a closer look at the buzz, using their platform. It analyses the performance of mentions all over the internet and provides key metrics such as engagement, related themes, demographic data, geographic data and influencer data. This is the second part of the social media battle between personal care brands, Gillette and Dove. What’s this spike about? We investigated the most common hashtags used with the help of our tool.. Here we can see #TheBestMenCanBe is the hashtag that has been gaining most traction. This is a tagline from their latest campaign, which has sparked off major conversation around the world, both online & offline. Seeing as a hashtag such as #BoycottGillette following in use close behind, gives some indication as to how well the campaign is being received. 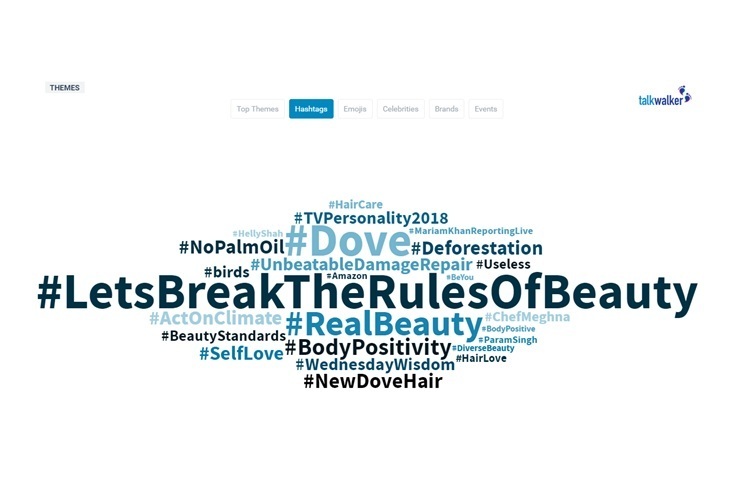 Dove, who have also experienced their fair share of mixed reviews towards various campaigns - has a cloud that consists of many environmental and sustainability hashtags like #nopalmoil #ActOnClimate for 2018. Despite these slightly concerning hashtags, #LetsBreakTheRulesOfBeauty, #RealBeauty and #BodyPositivity obviously dominate the conversation around their brand on social, as the volume of these hashtags are far greater. 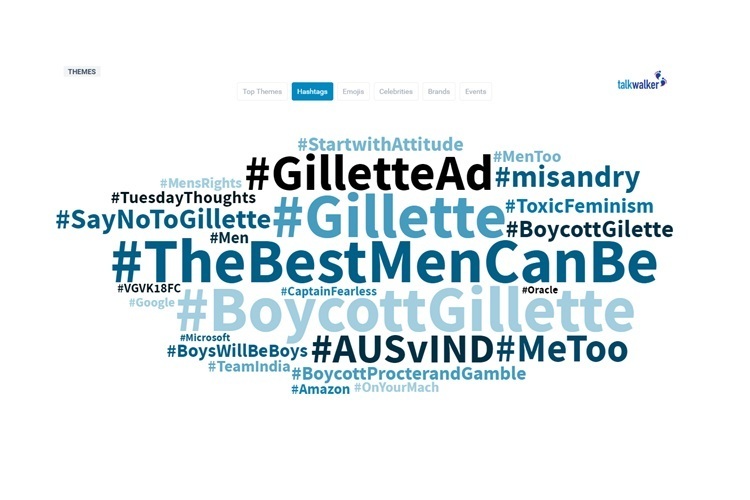 Thus when it comes to comparing the welfare of their hashtag themes cloud - both Dove & Gillette have some concerning themes hovering around their brand. However the volume of #BoycottGillette is much louder and alarming, than any of Dove’s negative hashtags. It is very exciting to witness the momentum of a viral hashtag and to track where it originates and spreads online. Taking a closer look at #BoycottGillette in particular, you can see how it’s virality is concentrated in the US - 64% of the total share of mentions. This makes sense as the campaign was released in the US, for a US audience. Interestingly enough, the country to follow suit owning 10% of the online conversation is in fact India. The new ad has obviously travelled through the social space and hit home here too as many can't seem to stomach social declarations coming from a 'razor brand'. This showcases the global impact a hashtag can reach through social media and the lack of control one can have once it is viral. Gillette clearly have some shaving, sorry saving to do!